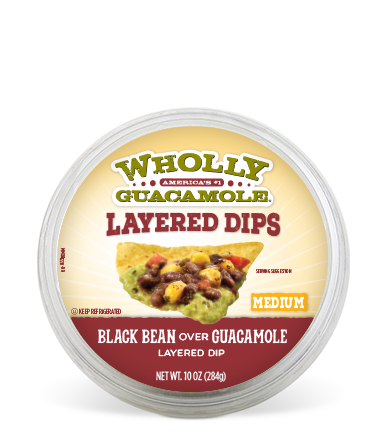 Your favorite black bean dip just got a whole lot more exciting thanks to hand-scooped Hass avocado. With the two combined, you might just dig black beans more than ever! Hass Avocados, Prepared Black Beans (Black Beans, Water, Sugar, Salt, Calcium Chloride, Ferrous Gluconate), Roasted Corn, Tomatoes, Onions, Lime Juice, Contains 2% or less of Jalapeno Peppers, Salt, Canola Oil, Water, Distilled Vinegar, Serrano Peppers, Spices, Sea Salt, Corn Starch, Dehydrated Garlic, Acetic Acid, Sugar, Natural Flavors, Dehydrated Cilantro. 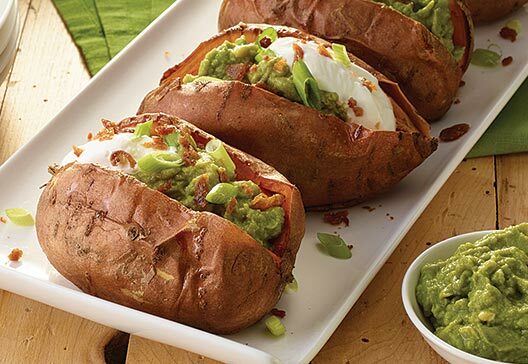 Dig into a savory version of the loaded sweet potato with this recipe. The pairing of guacamole and sweet potato is delicious and will get rave reviews.